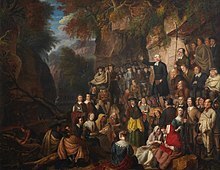 Even before Presbyterianism spread with immigrants abroad from Scotland, there were divisions in the larger Presbyterian family. Some later rejoined only to separate again. 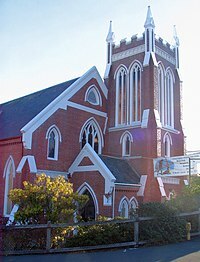 In what some interpret as rueful self-reproach, some Presbyterians refer to the divided Presbyterian churches as the "Split P's". Dates in this article are according to the Julian Calendar. 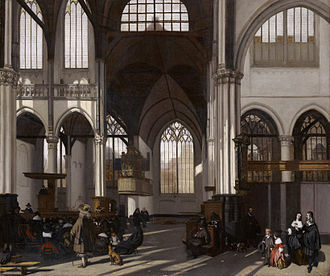 Sources using the Old Style calendar will need to be adjusted by adding ten days, the Synod of Dort was an international Synod held in Dordrecht in 1618–1619, by the Dutch Reformed Church, to settle a divisive controversy initiated by the rise of Arminianism. 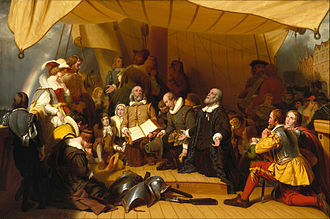 The first meeting was on 13 November 1618 and the final meeting, voting representatives from eight foreign Reformed churches were invited. Dort was a contemporary English term for the town of Dordrecht, in 2014 the first entire critical edition of the Acts and Documents of the Synod was published. 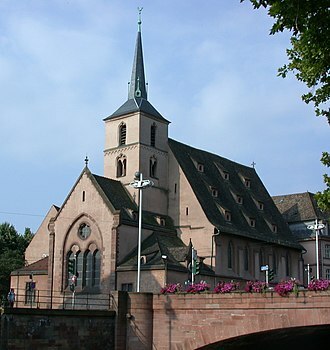 There had been previous provincial synods of Dort, and a National Synod in 1578, for that reason the 1618 meeting is sometimes called the Second Synod of Dort. 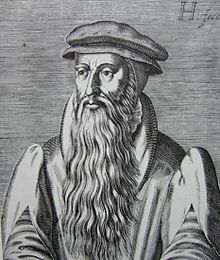 The acts of the Synod were tied to political intrigues that arose during the Twelve Years Truce, after the death of Jacob Arminius his followers presented objections to the Belgic Confession and the teaching of John Calvin, Theodore Beza, and their followers. These objections were published in a document called The Remonstrance of 1610, and they taught election on the basis of foreseen faith, a universal atonement, resistible grace, and the possibility of lapse from grace. 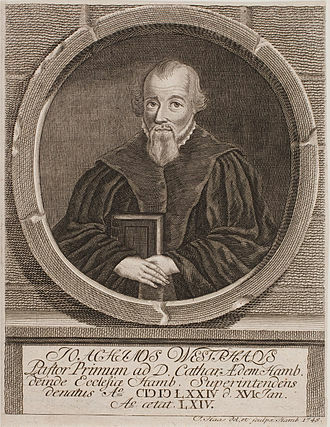 The opposing Calvinists or Gomarists, led by Franciscus Gomarus of the University of Leiden, planning for a National Synod was begun by Adriaan Pauw in March 1618. Before that, there had been a debate as to whether the synod should be national, as the Contra-Remonstrants wished, or provincial for Holland and this decision was worked out in 1617, with outside input from the English ambassador Dudley Carleton. 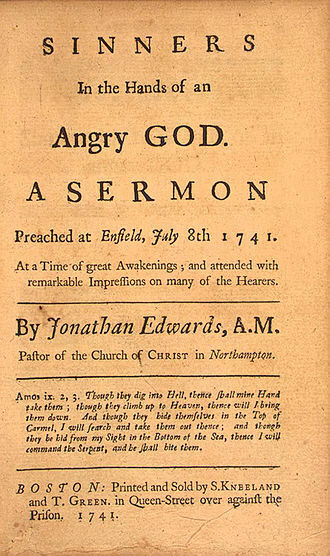 The purpose of the Synod was to settle the controversy over Arminianism and it was subsequently alleged that the outcome had already been decided. 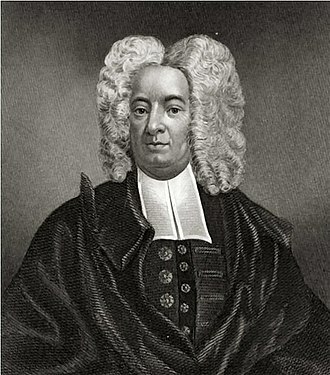 According to Frederick Calder, condemnation was determined before the national synod met, on the other hand, beyond the condemnation of the Arminians, the theological formulations of the Canons of the Synod by no means gave support to all the Gomarists wanted. 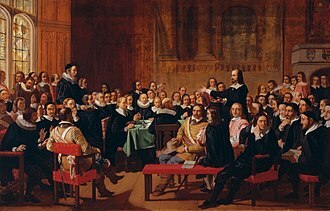 The more extreme views of Dutch Calvinists were moderated in the detailed debates, the Synod had members representing Reformed groups from continental Europe, as well as from the British isles. Among these groups were Anglican delegates from the Church of England, Simon Episcopius was spokesman of the 14 Remonstrants who were summoned before the Synod in 1618. At the opening of the synod, Episcopius asked to speak, the Arminians would not submit to this plan of procedure because it destroyed their whole scheme of argument and were thus compelled to withdraw. Upon their departure, the Synod proceeded without them, after that a month was spent on procedural matters concerning the Remonstrants. They were finally ejected from the Synod at session 57 on 14 January and these are sometimes referred to as the Five points of Calvinism. 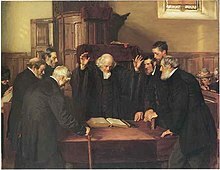 The Decision of the Synod of Dort on the Five Main Points of Doctrine in Dispute in the Netherlands, the thirteen Remonstrant ministers, including Episcopius, had been charged to remain in Dort until further instruction. The burning bush is an object described by the Book of Exodus as being located on Mount Horeb. According to the narrative, the bush was on fire, but was not consumed by the flames, in the biblical narrative, the burning bush is the location at which Moses was appointed by Adonai to lead the Israelites out of Egypt and into Canaan. 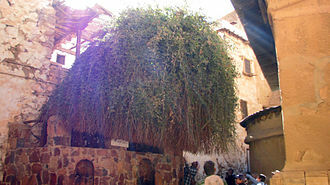 It is possible that the reference to a burning bush is based on an interpretation of Sinai. Another possibility is that the use of seneh may be a pun on Sinai. 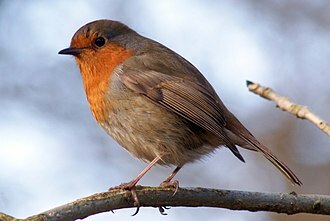 In the narrative, an angel of the Lord is described as appearing in the bush, and God is subsequently described as calling out from it to Moses, who had been grazing Jethros flocks there. When Moses starts to approach, God tells Moses to take off his sandals first, due to the place being holy ground, and Moses hides his face. When challenged on his identity, Adonai replies that he is the God of the Patriarchs – Abraham and Jacob – and that he is Adonai. The text derives Yahweh from the Hebrew word hayah in the phrase ehyeh ašer ehyeh, meaning he who is he, according to the narrative Adonai instructs Moses to confront the Egyptians and Israelites and briefs the prophet on what is to take place. Adonai performs various miracles in order to bolster Moses credibility. Yet Yahweh concedes and allows Aaron to be sent to assist Moses and this is the first time in the Torah that Aaron is mentioned, and here he is described as being Moses mouth piece. 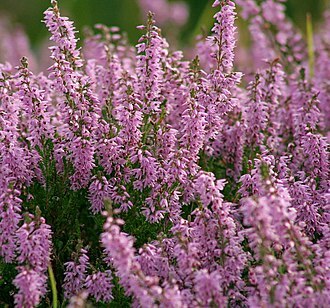 Alexander and Zhenia Fleisher relate the Biblical story of the bush to the plant Dictamnus. This flame quickly extinguishes without injury to the plant, colin Humphreys replies that the book of Exodus suggests a long-lasting fire that Moses went to investigate, not a fire that flares up and rapidly goes out. Christian hermits originally gathered at Mount Serbal, believing it to be the biblical Mount Sinai, the majority of academics and theologians agree that if the burning bush ever existed, it is highly unlikely to be the bush preserved at St Catherines Monastery. There is an Icon by the name of the Unburnt Bush, which portrays Mary in the guise of God bearer, the burning bush has been a popular symbol among Reformed churches since it was first adopted by the Huguenots in 1583 during its 12th National Synod. Theodore Beza was a French Protestant Christian theologian and scholar who played an important role in the Reformation. 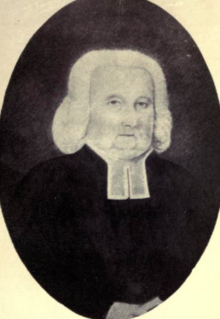 A member of the movement who opposed absolute monarchy, he was a disciple of John Calvin. Theodore Beza was born at Vézelay, in Burgundy and his father, Pierre de Beze, royal governor of Vézelay, descended from a Burgundian family of distinction, his mother, Marie Bourdelot, was known for her generosity. 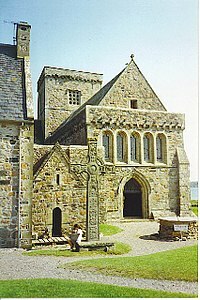 Bezas father had two brothers, who was member of Parliament at Paris, and Claude, who was abbot of the Cistercian monastery Froimont in the diocese of Beauvais. Nicholas, who was unmarried, during a visit to Vézelay was so pleased with Theodore that, with the permission of his parents, from Paris, Theodore was sent to Orléans in December 1528 to receive instruction from the famous German teacher Melchior Wolmar. He was received into Wolmars house, and the day on which took place was afterward celebrated as a second birthday. 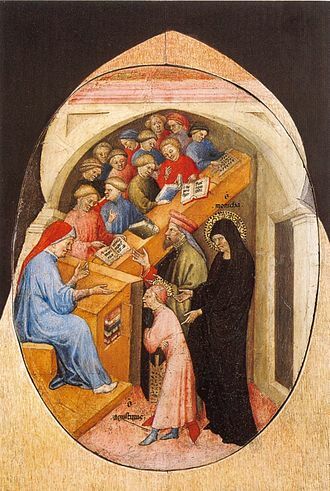 Young Beza soon followed his teacher to Bourges, where the latter was called by the duchess Margaret of Angoulême, at the time, Bourges was the focus of the Reformation movement in France. 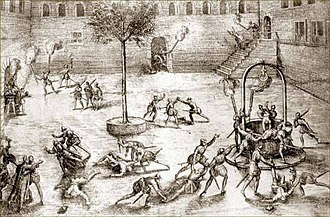 In 1534, after Francis I issued his edict against ecclesiastical innovations, Beza, in accordance with the wish of his father, went back to Orléans to study law, and spent four years there. The pursuit of law had little attraction for him, he enjoyed more the reading of the ancient classics, especially Ovid and Tibullus. He received the degree of licentiate in law August 11,1539, and, as his father desired, went to Paris, where he began to practice. 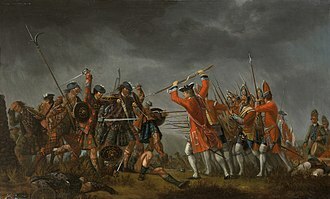 To support him, his relatives had obtained for him two benefices, the proceeds of which amounted to 700 golden crowns a year, and his uncle had promised to him his successor. Beza spent two years in Paris and gained a prominent position in literary circles, in 1548 he published a collection of Latin poetry, which made him famous, and he was widely considered one of the best writers of Latin poetry of his time. Some cautioned against reading biographical details in his writings, philip Schaff argued that it was a mistake to read between his lines what he never intended to put there or to imagine offences of which he was not guilty even in thought. Peter Martyr Vermigli was an Italian-born Reformed theologian. 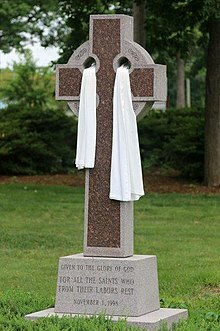 His early work as a reformer in Catholic Italy and decision to flee for Protestant northern Europe influenced many other Italians to convert, in England, he influenced the Edwardian Reformation, including the Eucharistic service of the 1552 Book of Common Prayer. 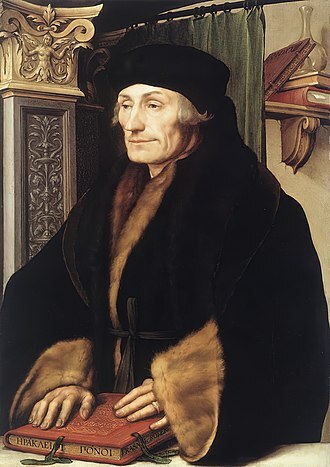 He was considered an authority on the Eucharist among the Reformed churches, Vermiglis Loci Communes, a compilation of excerpts from his biblical commentaries organized by the topics of systematic theology, became a standard Reformed theological textbook. Born in Florence, Vermigli entered an order and was appointed to influential posts as abbot. 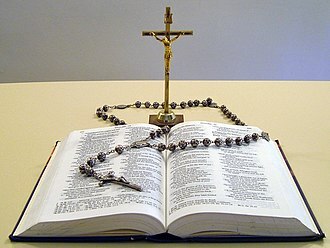 He came in contact with leaders of the Italian spirituali reform movement and read Protestant theologians such as Martin Bucer, through reading these works and studying the Bible and the church fathers, he came to accept Protestant beliefs about salvation and the Eucharist. 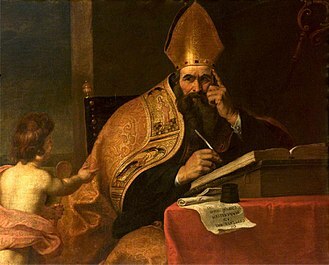 To satisfy his conscience and avoid persecution by the Roman Inquisition and he ultimately arrived in Strasbourg where he taught on the Old Testament of the Bible under Bucer. English reformer Thomas Cranmer invited him to take an influential post at Oxford University where he continued to teach on the Bible and he defended his Eucharistic beliefs against Catholic proponents of transubstantiation in a public disputation. 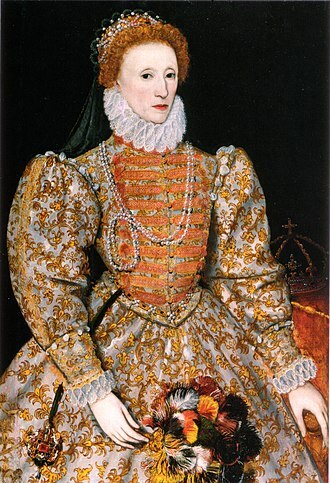 Vermigli was forced to leave England on the accession of the Catholic Queen Mary, as a Marian exile he returned to Strasbourg and his former teaching position. 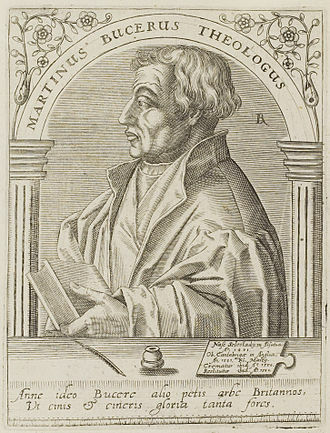 Vermiglis beliefs regarding the Eucharist and predestination clashed with those of leading Lutherans in Strasbourg, Vermiglis best-known theological contribution was defending the Reformed doctrine of the Eucharist against Catholics and Lutherans. 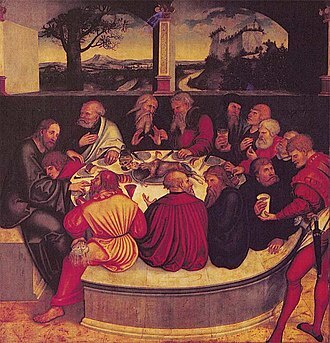 Contrary to the Catholic doctrine of transubstantiation, Vermigli did not believe that the bread and wine are changed into Christs body and he disagreed with the Lutheran view that Christs body is ubiquitous and so physically present at the Eucharist. 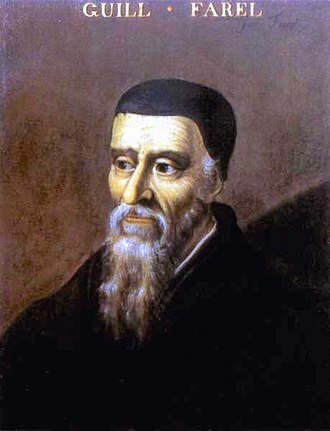 Instead, Vermigli taught that Christ remains in Heaven even though he is offered to those who partake of the Eucharist, Vermigli is notable for developing a strong doctrine of double predestination independently of John Calvin. Huldrych Zwingli or Ulrich Zwingli was a leader of the Reformation in Switzerland. 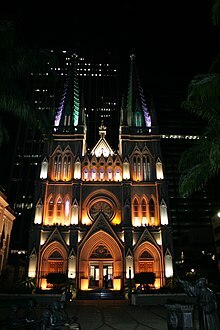 He continued his studies while he served as a pastor in Glarus and in Einsiedeln, in 1519, Zwingli became the pastor of the Grossmünster in Zurich where he began to preach ideas on reform of the Catholic Church. 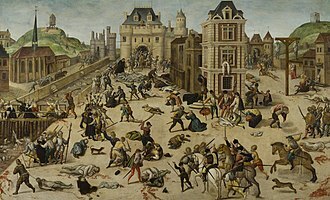 In his first public controversy in 1522, he attacked the custom of fasting during Lent, in his publications, he noted corruption in the ecclesiastical hierarchy, promoted clerical marriage, and attacked the use of images in places of worship. In 1525, Zwingli introduced a new liturgy to replace the Mass. 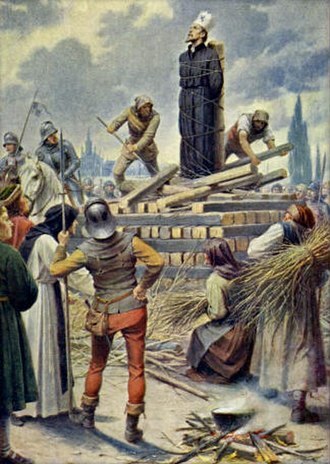 Zwingli clashed with the Anabaptists, which resulted in their persecution, historians have debated whether or not he turned Zurich into a theocracy. The Reformation spread to parts of the Swiss Confederation, but several cantons resisted. Zwingli formed an alliance of Reformed cantons which divided the Confederation along religious lines, in 1529, a war between the two sides was averted at the last moment. 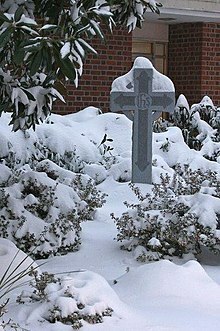 Meanwhile, Zwinglis ideas came to the attention of Martin Luther and other reformers and they met at the Marburg Colloquy and although they agreed on many points of doctrine, they could not reach an accord on the doctrine of the Real Presence of Christ in the Eucharist. 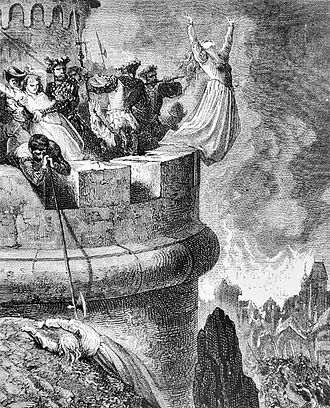 In 1531 Zwinglis alliance applied an unsuccessful food blockade on the Catholic cantons, the cantons responded with an attack at a moment when Zurich was ill prepared. 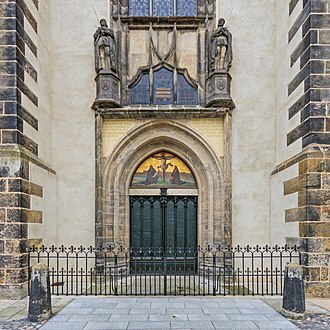 Zwingli was killed in battle at the age of 47 and his legacy lives on in the confessions and church orders of the Reformed churches of today. The Swiss Confederation in Huldrych Zwinglis time consisted of thirteen states as well as affiliated areas, unlike the modern state of Switzerland, which operates under a federal government, each of the thirteen cantons was nearly independent, conducting its own domestic and foreign affairs. Each canton formed its own alliances within and without the Confederation and this relative independence served as the basis for conflict during the time of the Reformation when the various cantons divided between different confessional camps. 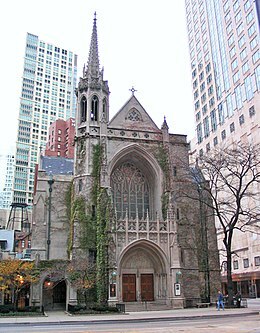 Institutes of the Christian Religion is John Calvins seminal work of Protestant systematic theology. 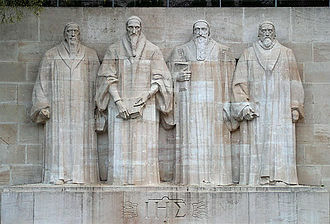 It vigorously attacked the teachings of those Calvin considered unorthodox, particularly Roman Catholicism to which Calvin says he had been strongly devoted before his conversion to Protestantism, the Institutes is a highly regarded secondary reference for the system of doctrine adopted by the Reformed churches, usually called Calvinism. 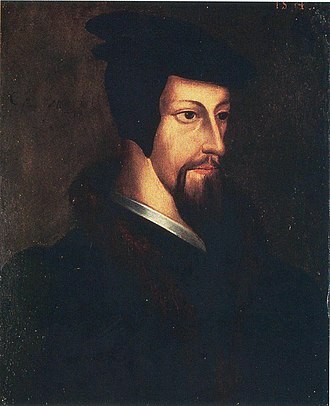 John Calvin was a student of law and classics at the University of Paris and he moved to Basel, for safety in 1535, and around this time he must have begun writing a summary of theology which would become the Institutes. 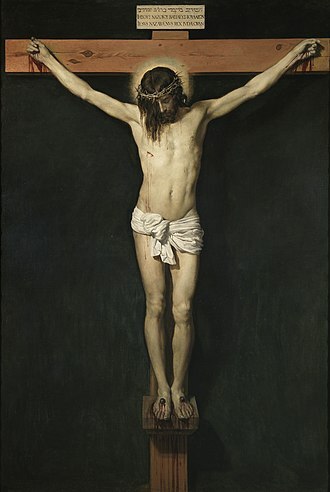 His Catholic opponents sought to associate him and his associates with radical Anabaptists and he decided to adapt the work he had been writing to the purpose of defending Protestants suffering from persecution from false accusations that they were espousing radical and heretical doctrines. Soon after publishing it, Calvin began his ministry in Geneva, the Institutes proved instantly popular, with many asking for a revised edition. In 1539, Calvin published a larger work, with seventeen chapters of about the same length as the six chapters of the first edition. It includes many references to authors and Church fathers, as well as many additional references to the Bible. Calvins epistle to the reader indicates that the new work is intended for students preparing for ministry. Four chapters were added in an edition in 1543. The fifth and final edition with which Calvin was involved, Calvins theology did not change substantially throughout his life, and so the Institutes did not undergo changes as far as its substance. 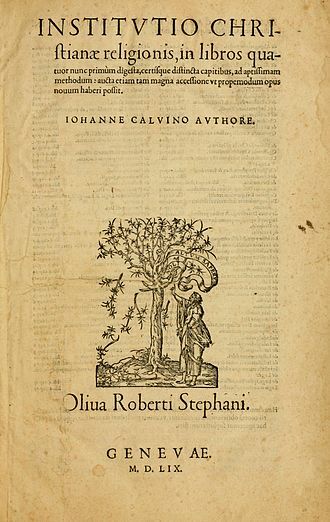 The title of Desiderius Erasmuss Institutio principis Christiani, which Calvin would have been familiar with, is usually translated The Education of a Christian Prince, the form of the short title of the first edition of Calvins work, published in 1536 is Christianae religionis institutio. The full title of this edition may be translated The Institute of the Christian Religion, Containing almost the Whole Sum of Piety, a Work Very Well Worth Reading by All Persons Zealous for Piety, and Lately Published. A Preface to the Most Christian King of France, in Which this Book is Presented to Him as a Confession of Faith, in the 1539 edition, the title is Institutio Christianae Religionis, possibly to emphasize the fact that this is a new, considerably expanded work. This is followed by at length truly corresponding to its title, a play on the grandiosity of the title, Institutes in its first form was not merely an exposition of Reformation doctrine, it proved the inspiration to a new form of Christian life for many. 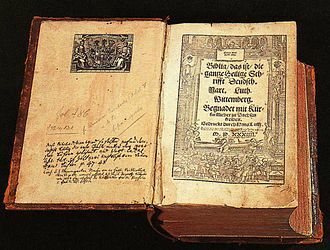 The book is prefaced by a letter to Francis I. As this letter shows, Institutes was composed, or at least completed, to meet a present necessity, to correct an aspersion on Calvins fellow reformers. ”Despite the dependence on earlier writers, Institutes was felt by many to be a new voice, and within a year there was demand for a second edition. This came in 1539, amplifying especially the treatment of the fall of man, of election and it showed a more conciliatory temper toward Luther in the section on the Lords Supper. Franz von Sickingen was the protector and defender of Martin Bucer during his early years. Matthew Zell was the first major reformer in Strasbourg and supported Bucer on his arrival in the city. Bucer tried to mediate between Martin Luther (left) and Huldrych Zwingli (right) on doctrinal matters. The Circumcision by Jacob Jordaens. 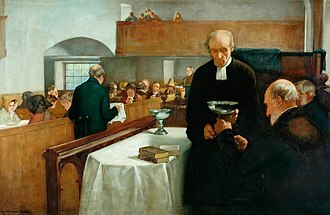 Reformed theologians see baptism as the replacement or perfection of circumcision. Lithograph of John Calvin, c. 1830.